Top page > List of companies > Digital Circus, Inc.
Digital Circus uses open source, CMS, Drupal as its basis to do all sorts of website development. Drupal is quite prevalent in the overseas markets, especially in the European and American regions, where the White House, NASA, and other famous organizations adapt to it. It is the most popular form of open source CMS in the world. Because of its high functionality, security, customization, it is also getting more attention in Japan nowadays. <br>We support not only the users but also the organizations by hosting seminars regularly. 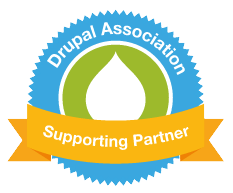 We want to help promote the familiarity of Drupal in the Japanese market. We mainly work on contracted cases where to talk to the client directly and do everything from the requirement definition to the final release. We are also responsible for the maintenance after the releasement. Drupal is provided as an open source software in which it is maintained by users as well as developers around the world. It is also free no matter if it is used for the business purpose or not. <br><br>・Various functions<br>Drupal has so many functions that it is a truly impressive software to use. (including the basic functions and the additional modules) There are still many modules those are still under the development process. What is more amazing is that those modules are offered for free. <br><br>・Free customization<br>Drupal was designed with the premise of &quot;&quot;available for customization&quot;&quot;. It is made with the idea that it can be linked to each individual business system and with the customization function can be applied. <br><br>・Powerful multi-language function<br>Drupal is the best CMS operation management system for managing multi-language websites.<br><br>・Firm security<br>Durpal has a security operation team to deal with the security measure of the system exclusively. Many big enterprises in Japan also applied the system for website management. Aoyama Gakuin University<br>The Asahi Shimbun Company. 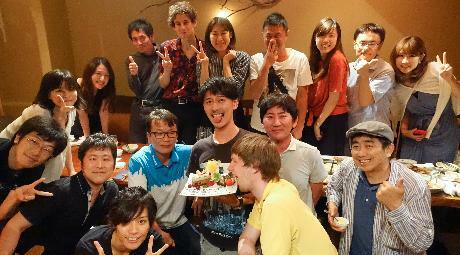 <br>amanaimages inc. -<br>INFOCOM CORPORATION <br>AIU Inc.<br>SMS CO., LTD.<br>H.S. Insurance Co., Ltd.<br>NHK ENTERPRISES, INC. <br>NTT DATA CCS CORPORATION <br>Culture Convenience Club <br>QUIKSILVER® Japan<br>GREE, Inc.<br>Golf Digest Online Inc.<br>CyberAgent, Inc. <br>JIMOS <br>Shobunsha Publications,Inc. <br>seven net inc<br>SONY<br>chuo-nissan Co.,Ltd. <br>Tokio Marine &amp; Nichido Risk Consulting <br>TOKYO KYODO ACCOUNTING OFFICE.<br>TODA Co.<br>Japan Women&#39;s University.<br>HIKARI TSUSHIN, INC. <br>NIHON-UNIV. BUZAN Sr. ＆ Jr. HIGH SCHOOL.<br>PEACH JOHN HONG KONG CO., LTD. <br>Hitachi Business Solution<br>HOKEN NO MADOGUCHI GROUP INC.<br>PONY CANYON INC. <br>Mynavi<br>Members Co.,Ltd. <br>Recruit Co., Ltd.<br>RIDE ON EXPRESS HOLDINGS Co., Ltd.<br>watari-um museum <br>World Family K.K.